Until the Easter Rising, Ireland and Great Britain were in different time zones. It was only for communication reasons, that the British decided to adjust Irish Mean Time to Greenwich Mean Time. 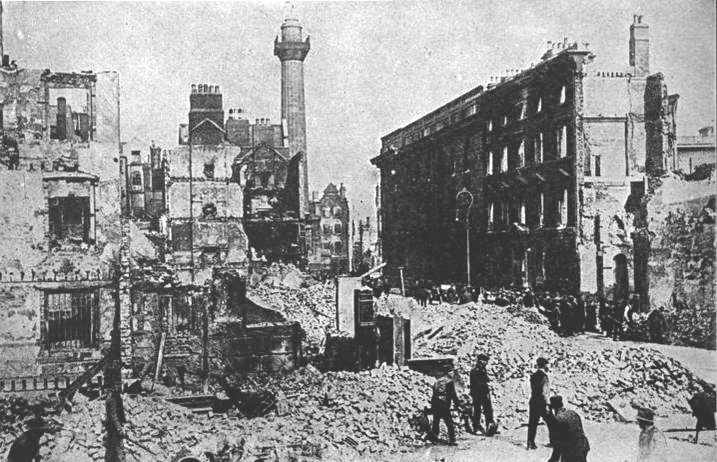 The Irish clocks were changed at 2 am on Sunday, October 1st, 1916. With the foundation of the Irish Free State and subsequent Northern Ireland, it would not have made sense to change time back to Irish Mean Time in the Free State and have Greenwich Mean Time in the North. Summer, daylight saving time, was introduced on a one-off basis, by acts in 1923 and 1924 and then on an ongoing basis by the Summer Time Act of 1925. The 1925 act provided a default summer period, which could be varied by ministerial order. Double summer time was considered, but not introduced, during the Emergency (World War II). From 1968 Ireland had adapted to an all year round summer time, which had put the country into the same time zone as Central Europe (Germany, Belgium, France etc). The 1971 act defined a period of time during the winter, as “winter time” throughout which time GMT would be observed – leaving “Irish standard time” unchanged. In the 1980s summer and winter times had been harmonised throughout the EU. Over the years, there have been several governmental suggestions to adjust to continental European time, which is generally one hour ahead of Ireland. However, those proposals have all been shelved, for the simple reason that the island of Ireland has two jurisdictions and if both of those jurisdictions don’t pull the same strings, then it won’t make sense for any time changes.